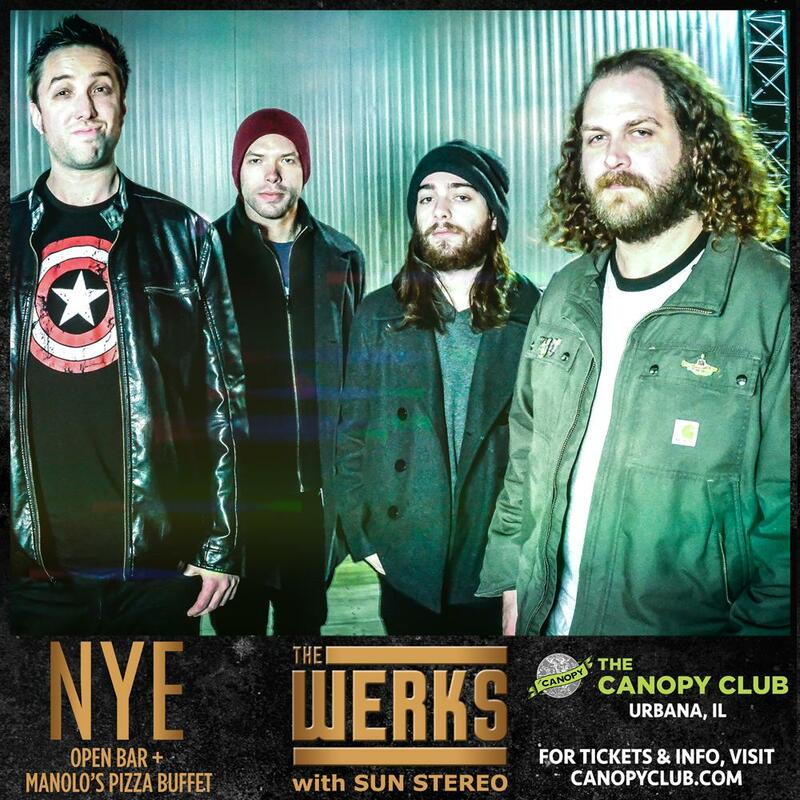 In anticipation of The Werks and Sun Stereo’s New Year’s Eve Celebration at The Canopy Club in Urbana, IL, Summer Camp and The Werk Out Festival have combined forces to put together the ULTIMATE giveaway! Includes complimentary well drinks and select drafts beer, a food buffet from Manolo’s Pizza from 9-11PM, and a champagne toast at midnight. – PLUS, sit side stage at The Werks’ set at Summer Camp AND Sun Stereo’s set at The Werk Out! Interested? Of course you are! We’ve developed several ways to enter the contest. Each task is worth 1 entry, and we encourage you to complete as many forms of entry as you’d like. But, each form of entry is limited to 1 per person. BONUS: An additional five entries will be awarded to those who buy their Canopy Club NYE tickets in advance! CLICK HERE TO BUY NOW!